Ombré is a collection of wound up in cakes yarn, dyed in long sequences of colours within the cake (skein). Our palette includes Chromatic Gradient – from intense to the light of same colour, Ombré (hence the name) – faded from one to another shade and, long repetition stripes. Every ball of yarn is Eco-friendly Air-brush dyed and unique! The colour shading changes slowly, even for the striped one’s colourways. 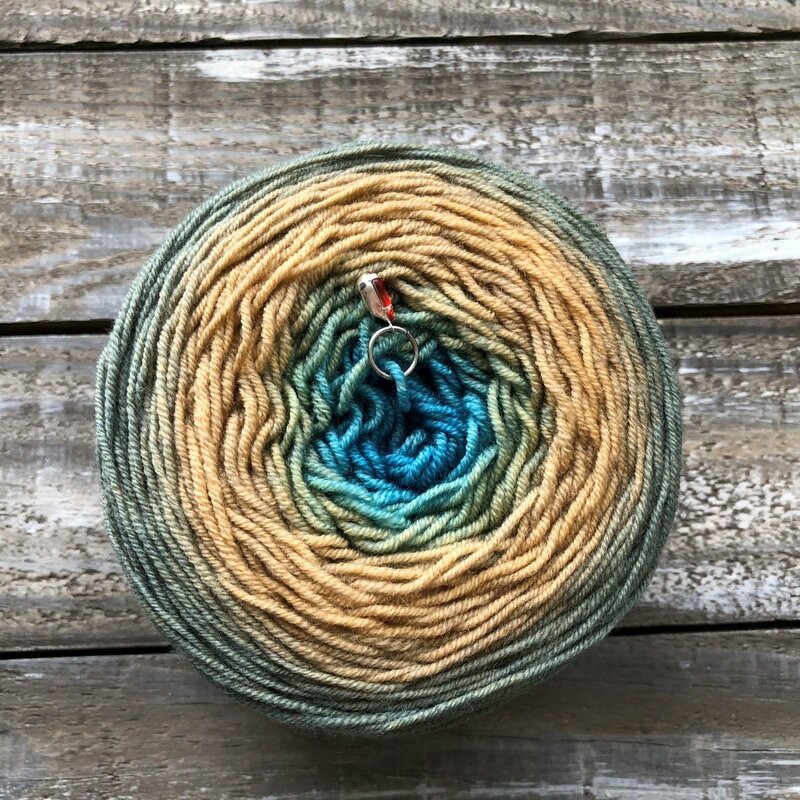 The Ombré yarns are great for making shawls and super fun to knit hats, socks and mittens! Due to the nature of dyeing from already knit blanks, most of the dark gradients have some marled/heathered appearance (the colour is not solid). This effect compleat the charm of the Ombré yarn with the addition of texture and character. One cake is enough for a hat, a pair of socks, a pair of mittens, and a shawlette. To knit a wrap or full-size scarf/shawl you will need two or more balls or a, additional skein of semi-solid/solid colour. To keep the gradient/ombré effect with two cakes, start the second cake from the same colour as the end of your first one. For sweaters and cardigans, you may stripe the yarn with a solid colour. 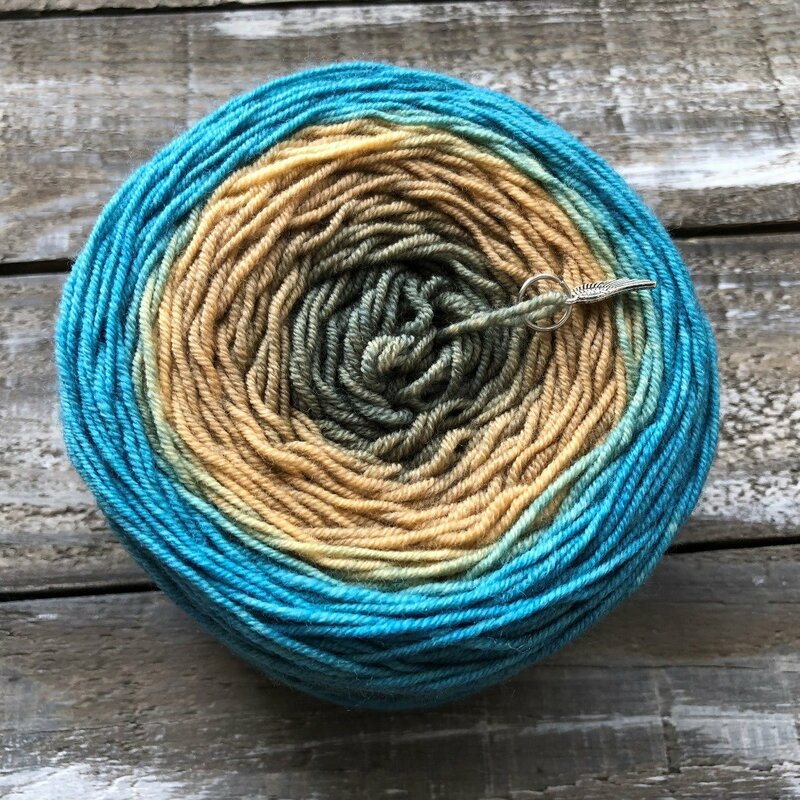 Please, NOTE: Artfil yarns are hand dyed one skein at a time, as such there are no lot numbers. Slight colour variations between skeins are to be expected. Hand or machine wash in cold water, gentle cycle only. May bleed colour at first washing. Dry flat. Up to 1 knot per ball policy.